Technology in a UBank social media campaign. Execution: NFC chipped wristbands were presented to festival goers upon arrival, participants then registered for their chance to win $5000/and prizes and also create posts to participants’ Facebook accounts each time they touch on at designated points around “Midsumma Festival”. Result: World first NFC campaign for a banking institution. 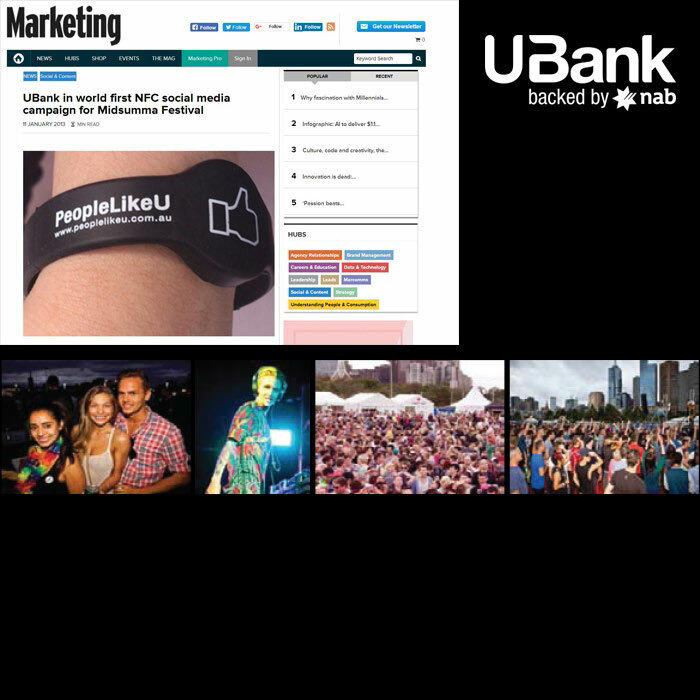 Obtained robust analytics, expanding UBank’s social presence and loyalty long after the event.